Big people should always keep a “big distance” even from a small controversial issue. Jack Dorsey, the CEO of Twitter, has just landed himself in the soup for holding up a small placard recently in India. Soon after the photo-shoot, which instantly went viral, many other big people expressed their anger against him. Why did it not occur to him that he is a public figure? Does he not head an epic social-media portal – Twitter which should exert itself to send out the pleasant note for the pleasant co-existence? Well, any great media tycoons should stay away from the influence of the forces with “ulterior motives”. The people with whom Dorsey had taken a photo have a morbid penchant for puncturing the very glory and ethos of this nation. Spreading the negative narratives and setting off the hostility among the two principal communities is their prime mission. So, given the massive twitter-users in India, such obvious and continuous friendship with controversial desperadoes is less agreeable. This might also stand as a stumbling block for Jack to dream big in the future. 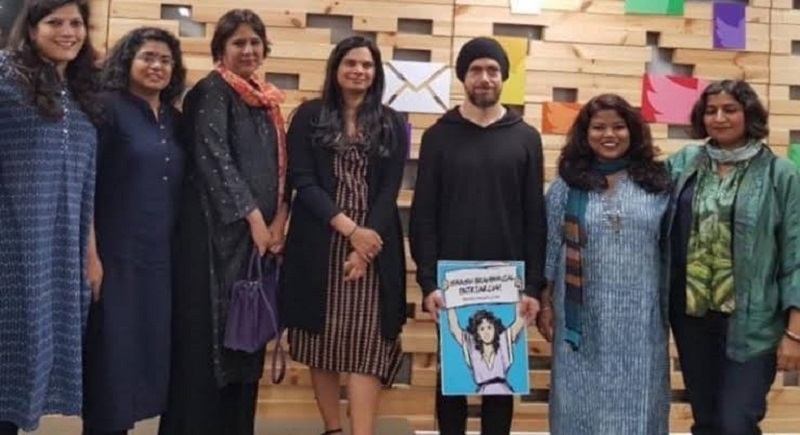 The placard, which was presented and held up by the Twitter CEO, read – “Smash the Brahmanical patriarchy”. How suddenly he got worked up to voice the concerns of the people in India. How many placards has he held up so far that roared the slogans against the “White Supremacy” in the USA? Has he ever succeeded pointed out the faults of the major communities with whom he has lived all this life, with whom he has day-to-day encounters? Though being the most advanced country in the world, the male chauvinism is still the hallmark of USA. The world is practically shaken by the outright patriarchy of some of the communities that constitute the major portion of the USA and other European countries. Has Mr. Jack stood against those masculine ills? Relatively, how many Brahmins has he met with in his life that prompted him to put on a hateful posture in India? Or is it all a long-term plan, and this photo session, a step towards the mission? His disposition in India has made many literally skeptical. Yes, Dorsey should be informed that there are 100 of wrongful patriarchal mores in European and Islamic countries that should be “smashed” systematically first. Let him start his social work from the place of his birth. Let him set up charity-houses in provinces of his ancestors. Yet, let him voice the concerns of the “depraved” such a way that will not be considered as an agenda by any person at any corner in the world. Service with right intention is always desirable. So, Twitter CEO should think 100 times before he takes a new step. Who knows, the wings of the twitter might be clipped any movement if it starts to “chirp out the wrong note”. We can’t see tomorrow today. 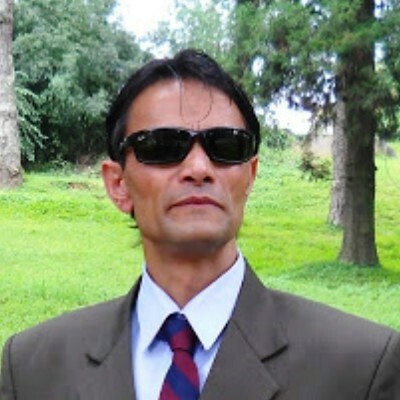 A Shillong-based (India) writer and researcher Salil Gewali is best known for his research-based work entitled ‘Great minds on India?’ which has already earned worldwide appreciations. Translated into Eleven languages his ‘Great Minds on India’ has been prefaced by a world-acclaimed NASA Chief scientist – Dr. Kamlesh Lulla of Houston, USA.